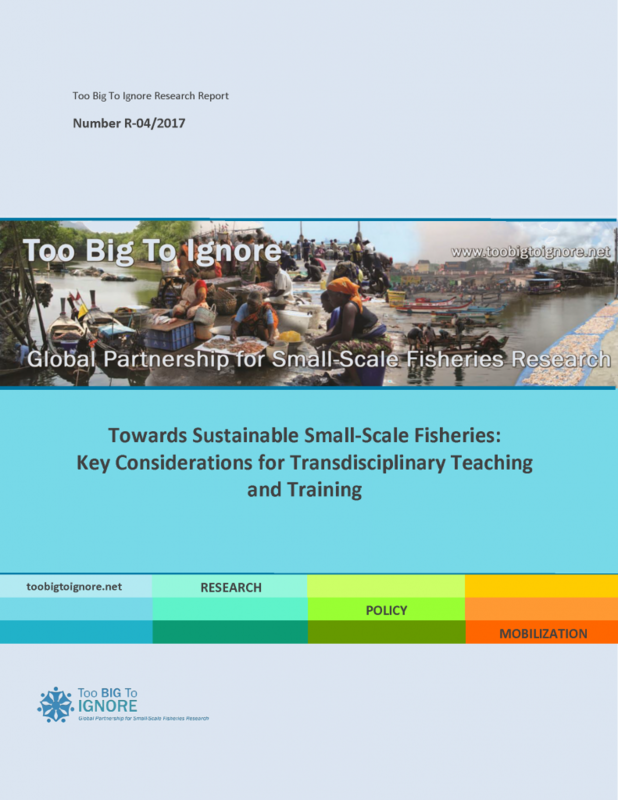 This report aims to stimulate interest in transdisciplinary research, teaching and training, particularly where sustainability of small-scale fisheries is concerned. Here, a transdisciplinary approach is defined as one which goes ‘between, across and beyond’ disciplines and ways of knowing and doing, in an attempt to address real-world problems and to move towards pragmatic solutions. Many international researchers and practitioners have contributed to the development of this document, which began in 2015. The development process involved online collaboration, workshops and field visits. The initial outcomes of this work have been described in the 2015 ‘Transdisciplinary Fisheries Course Development’ and in 2016 ‘Developing a Transdisciplinary Fisheries Course’ TBTI research reports. The report is developed through the TBTI 'Transdisciplinary Fisheries' research cluster. The report is meant to accompany other training materials, including an upcoming textbook on ‘Transdisciplinarity’ in Fisheries, that will be available in an online, open-access learning platform, which is currently being developed..